If you are looking to pick out a new toothbrush, Perfect Smile would like you to consider choosing an electric toothbrush next time it’s time for a new toothbrush. Electric or “power” toothbrushes offer multiple benefits including making the maintenance of your oral health effortless. A manual toothbrush can be just as effective as an electronic toothbrush – but more since the length of time one brushes their teeth is typically ½ the time recommended – so the electric toothbrush does more in less time – making it a better choice. More Effective – Compared to manual toothbrushes, electric toothbrushes are statistically proven to be more effective in reducing the amount of plaque and gingivitis on your teeth due to the automatic bristle micro-movements that help clean deeper in-between your teeth. Built-in Timer – When brushing, you will want to make sure you brush for a full two minutes. Many electric brushes will have built in timers to help make sure you stay on track for a clean healthy smile. 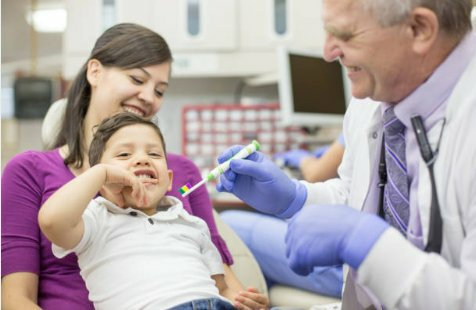 Better Option for Individuals with Disabilities – By reducing the need to use proper brushing techniques, like brushing in circles, electric toothbrushes are ideal for people with carpal tunnel, arthritis, and other developmental disabilities. Recommended for Braces – If you or your children wear braces or other orthodontic appliances, electrically powered toothbrushes are extremely helpful in maintaining your oral health. 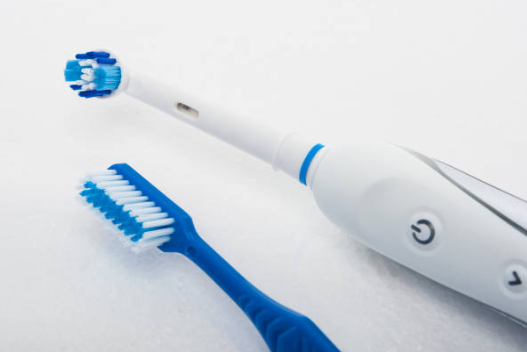 The micro-movements of the toothbrush will help clean leftover food, bacteria, and plaque in-between your teeth and around the braces, making it the ideal tool for children’s dental care.Modern Technology Features – Modern electric brushes are often equipped with technology and features that will not only make brushing easier, but also more effective. Exchangeable brush heads offer options for different areas of the mouth that require cleaning but may be too difficult to clean with a manual toothbrush. Some will even have digital app reminders that make sure you stick to a cleaning routine by using programs that give you live feedback on areas you may need to improve with your brushing technique. For further information about picking the right toothbrush and oral hygiene products or to set an appointment for any general dentistry needs, contact Perfect Smile today at (702) 387-6453 or visit our contact appointment page. As one of the most trusted dentists in Las Vegas, we provide a wide range of dental care procedures that include cosmetic and general dentistry.